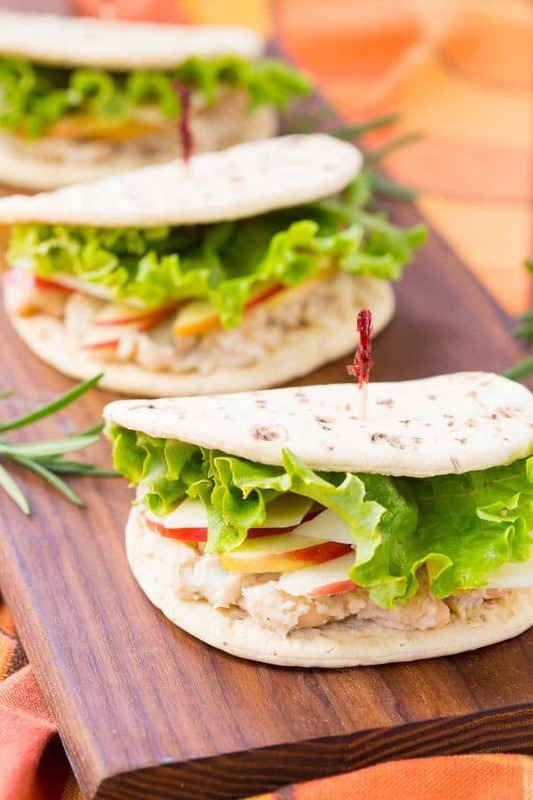 This bean sandwich with rosemary, apple, and parmesan is the perfect healthy meatless lunch! You’ll love the creamy beans with the fresh, crisp bite of the apple. 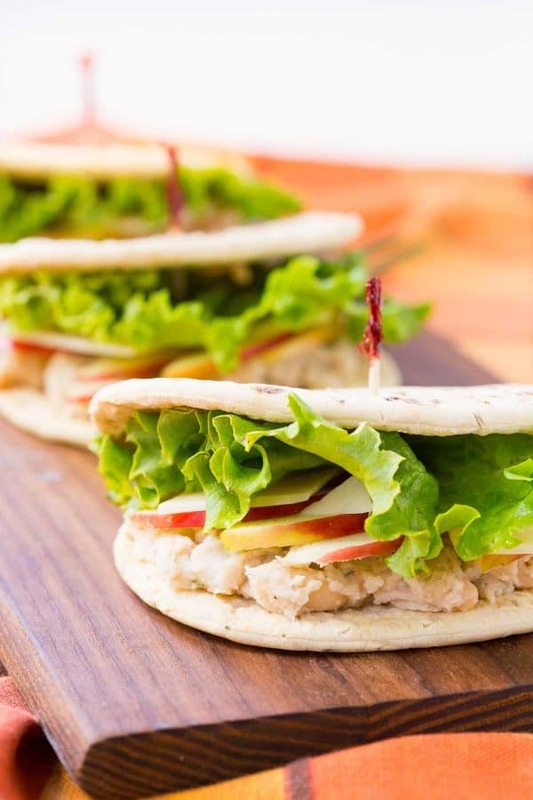 I’m excited to be partnering with Flatout Flatbread to bring you this quick and easy recipe. My whole family loves Flatout products (and they’re founded in Michigan!) so I’m glad to be sharing their products with you. I was intrigued by their Rosemary & Olive Oil flavor, which I had never tried. I developed this recipe to complement the prominent flavors of the Rosemary & Olive Oil Foldit® bread. 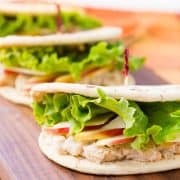 To give this sandwich tons of great protein, I used creamy white beans (great northern or cannellini both work great in this recipe). For texture, I mashed about half of the beans and left half whole. With the beans, I also stirred in some olive oil (both for consistency and for flavor), some lemon juice to brighten things up, and salt, pepper, and rosemary to season. Once you have that made, you are ready to prep your sandwich. Spread beans on the base of the Foldit and then layer apples, parmesan and fresh leaf lettuce. That’s it – you’re done in about five minutes! I thought this whole situation might be a little too far out of the box for my husband but he loved these sandwiches. I consider that a huge success! This recipe, using one can of beans, makes 4 bean sandwiches. If you’re making these only for one person, I suggest making the bean mixture and refrigerating the leftovers. 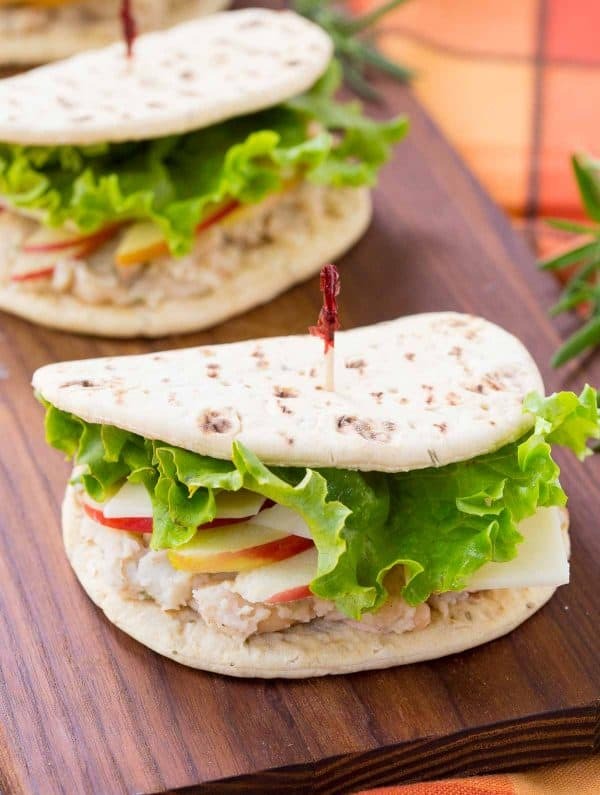 Plan on increase the number of apples to four (total for all sandwiches) – slice what you need for your sandwich and then eat the rest as a side with your lunch. This will prevent waste and will keep the leftover apple from turning brown. Plus at that point, your lunch is pretty much completed. 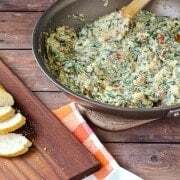 Grab some veggies if you’re still hungry and you have a well-rounded, very satisfying meal! or check out my entire archive of salad recipes – lots are vegetarian and perfect for lunch! This bean Sandwich with Rosemary, Apple, and Parmesan is the perfect meatless lunch! You’ll love the creamy beans with the fresh, crisp bite of the apple. In a small bowl, mash 1 cup beans with olive oil, lemon juice, salt, pepper, and rosemary until mostly smooth. Stir in remaining beans. Spread bean mixture evenly on to four Flatout Foldits. Top with sliced apple, sliced Parmesan cheese, and leaf lettuce. Note: I love the salty bite of the Parmesan cheese on this but you it would be great with Gouda or Cheddar as well. Note: Store leftover bean mixture in covered container in fridge. Verdict: Loved this quick and easy bean sandwich and I will definitely be repeating it during the craziness of the move. As a bonus, these Foldits only have 100 calories! Husband’s take: He loved them! Changes I would make: None are necessary but if you don’t have Parmesan, they would also be great with cheddar or gouda. Disclosure: I’m excited to partner with Flatout Flatbread to bring you quick and delicious recipes. I have been compensated for my time but all opinions are always my own. Thank you for supporting Rachel Cooks by reading about brands we love and use in our own home. Oh, girl – moving is for the birds, but it’s great to have a simple, delicious meal option on hand for when things get a little crazy. Love Flatout Flatbreads and this sandwich combo! This looks so delicious. I love bean main dishes. 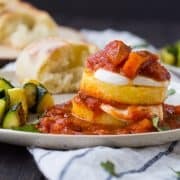 I get excited to find new ways to have meatless meals for the family! So nice to find a quick and tasty lunch option! I am always looking for good, fast ideas for lunch. Can’t wait to give this a try! We love flatbread. This looks amazing!! I love the flavors you combined for this one. 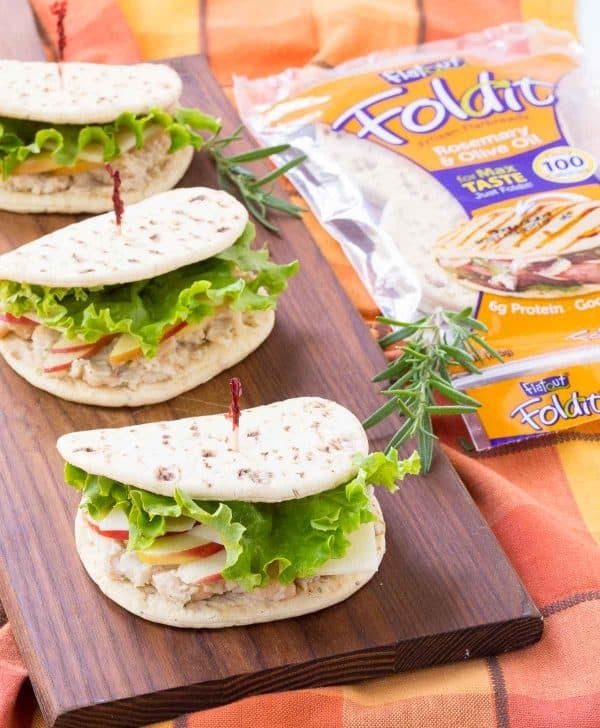 Flatout is such an easy sandwich wrap- and I love that it’s low in calories too! Moving is so tough — I really hope it goes well for you and your family! And thank goodness for quick & easy meatless meals like this, especially during the summer. I rarely have the energy to cook meat during these months where it’s 100°! 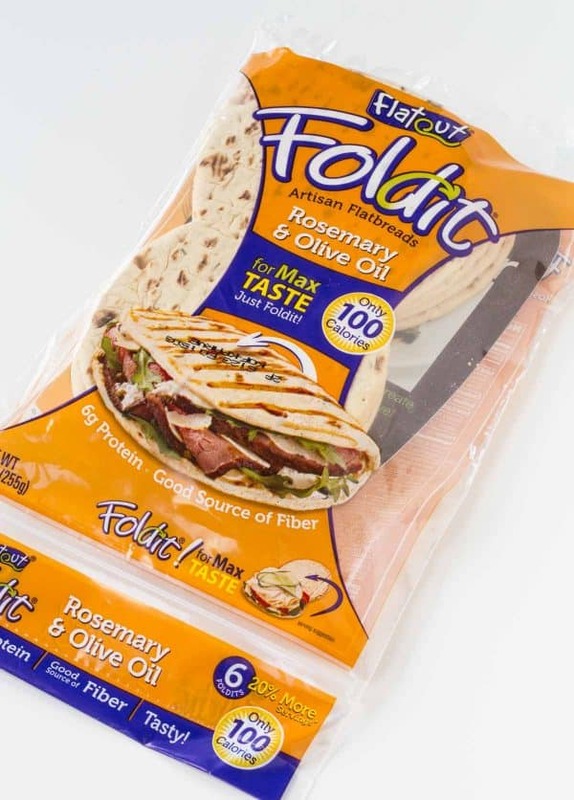 ;) I’m absolutely obsessed with Flatout’s wraps (their light original is my favorite), so I guarantee I’d love these… And eat your husband’s if he didn’t approve! I love beans + rosemary!! One of the best combinations! Anything with rosemary…gimme! And with white beans and apples. LOVE. My family really likes all the Flatout products, they make lunches easy and delicious. These sandwiches look great! I’ve been sooo wanting to try Flatout. Too bad I can’t get find them here. One day I’ll get my hands on them, though. :) I hope the move goes well! I have been in a terrible lunch rut and in need of fresh ideas. This sounds wonderful! Love the flavor combos and the wrap idea too! Lovelovelove Flatout! This is totally my kind of lunch. Apples and Parmesan are SUCH a good flavor combo, so I am all over this! Pinned! I loe white beans! They’re so creamy and add a perfect mildness to this sandwich.